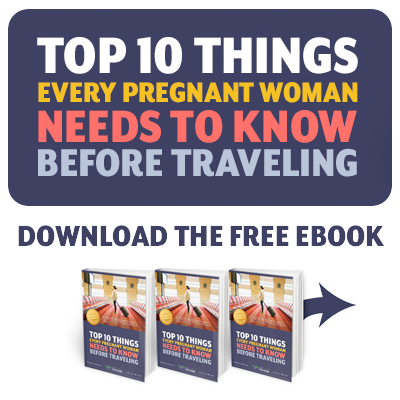 When you are pregnant and traveling, it’s easy to find yourself feeling tired and run down. Motivation to workout can be hard to find even when you aren’t carrying a child, but studies find that working out actually releases endorphins and can reduce thee stress of travel. Try these 3 workouts while you are traveling that are safe for you and your baby. Hotel swimming pools are a great way to get out of your room and stretch your legs after a long day of traveling. As an added bonus it’s safe to do while pregnant! Swimming laps or simply wading is a great way to get your body exercise while keeping baby from getting too uncomfortable. Chlorinated pools are safe for pregnant women, and the chlorine actually kills bacteria that could be harmful to you or your baby. The hotel lobby could be a great option to do some brisk walking, which is a great cardio workout that doesn’t strain your body. Pack a pair of workout shoes during your trips so that you can begin searching for areas for you to destress and take a quick stroll. But be careful, as your stomach gets bigger, you can loose your sense of balance, so take it slow and steady. Leaning up against your bed and stretching your muscles is a great way to destress from a days worth of traveling while also getting the blood pumping in your body. Placing your hands against the bed while extending your legs forward allows you to work out your arm muscles while working out your legs.